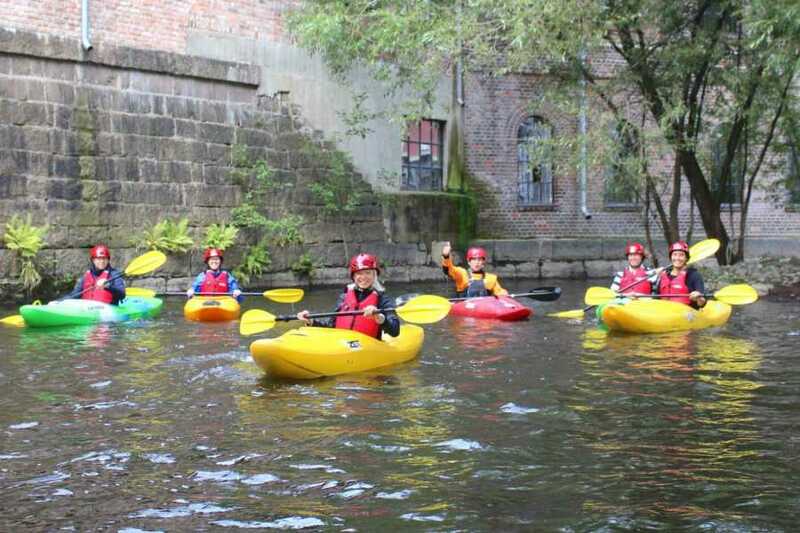 Thanks for booking - we are looking forward to paddle down Akerselva with you! The tour starts at Nordre Foss Park across the river from Mathallen. Nearest address is Nordre gate 2. It is easy to see us with all the paddle equipment. Call 400 80 440 if you get lost! Wear clothes to suit the weather conditions and bring rain pants to wear over your trousers. It is unlikely you will fall in but just in case we recommend you bring a spare change of clothes - and a towel! We will keep your belongings in our van while you paddle and give them back to you at the end of the trip. If you want to go to the Sauna after paddling, you can pay for this at the Sauna with VIPPS or a card. It costs 100NOK for one hour. There's also a grill at the sauna and you can bring food if you like, as well as beer or other drinks.